The best way to create a presence online for a coffee shop or a diner? An expertly made website template obviously! It’s an affordable proposition if you do not need or want a CMS in addition to their layout. The wonderful Cafe and Restaurant Web Template is fully responsive, allowing you to relax knowing your site will be displayed extremely good on virtually any gadget. Look into the live demonstration! 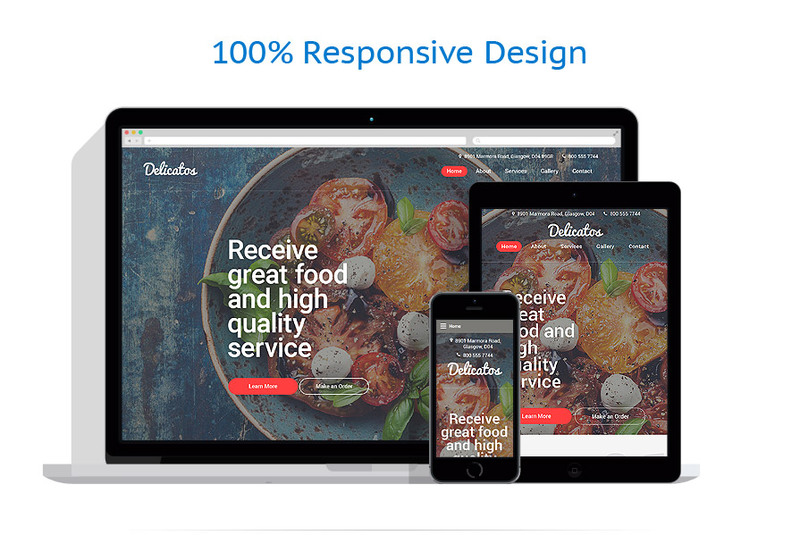 Delicatos is a beautifully designed and well-coded Italian Restaurant Web Template that is intended to make your cafe and restaurant website look more appealing. The main page of the theme grabs users' attention with captivating storytelling. In order to facilitate navigation and let users scan content effortlessly, different content blocks were enumerated on the background. Written content and mouthwatering visuals make up a perfect balance on site. Placed on the fair background, vivid coral calls-to-action, pricing details and heading look even more outstanding. The filterable gallery was also added to the front page, letting you capture users' attention once they reach your site. Traditionally, the theme was made fully responsive, crossbrowser compatible and search-friendly. The theme is best suited for restaurant, cafe, brewery or any other food drink related website.